Haha, I figured 'well that isn't very original'. Clicked play. And listened through the whole song . Before that I was listening to a song I always enjoy when I hear it on the radio, one reason being that this song uses the word "moot" in it. I think this may be only song in existence that uses the word "moot." If a chicken was smart enough to be able to speak English and run in a geometric pattern, then I think it should be smart enough to dial 911 (999) before getting the axe, and scream to the operator, "Something must be done! Something must be done!" Oh, great song!!! Always makes me want to move. The beginning of your song reminded me of "Safety Dance" by the New Wave Group "Men without Hats," so now I'm listening to that. Bah. I still think it's cool. This song has probably helped multitudes of shy, overly self-conscious tween years kids such as I was get over their inhibitions and actually allow themselves to dance at school parties. That's a good thing. Heh, yeah I've always thought that video was a bad fit for the song as well. I don't know if I ever pictured Japanese robots when listening to it but I sure as hell never envisioned a midget jester running around in a medieval town during a May Day celebration either. Given the choice I definitely would've preferred your concept. I was recording a tape with a lot of Django Reinhardt on it for a forummember. He's not much of an audiophile himself and he said: "This is probably the first premium quality recording I've ever had". But well... 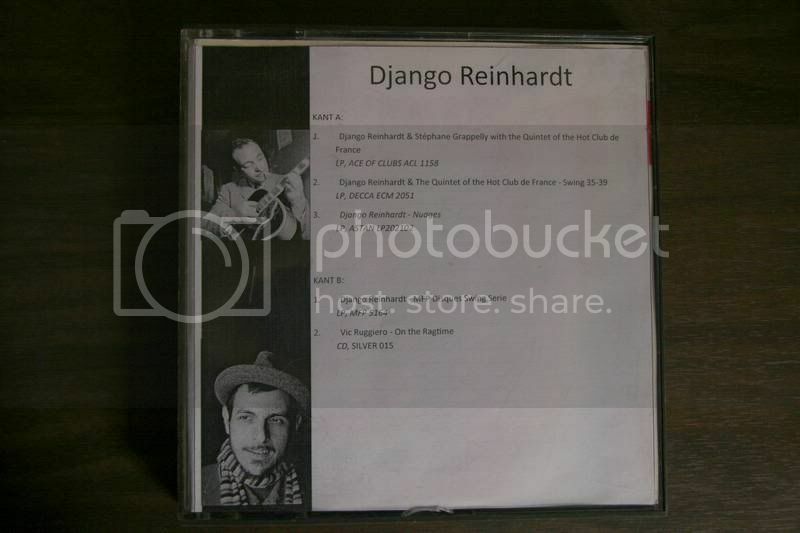 It's Django Reinhardt, it's recordings from the late 30's to the early 50's. It sounds awful . Bingo! At first while watching the video I thought maybe it was a spoof of the real thing. Sweet but sensual at the same time. Very blatant. Perhaps a good female counterpart to Frankie Goes to Hollywood's infamous, "Relax (Don't do it)" which I remember seeing in concert in Germany. So which is better, "I touch myself" or "Relax (Don't do it)?" My vote goes to the Divinyls because she is a little more holistic in her approach to desire.